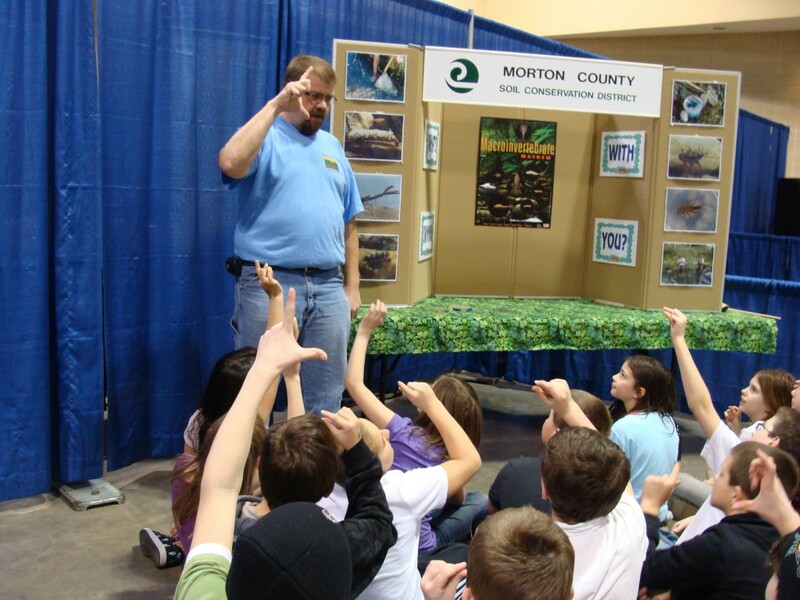 Tom Gibson has been a free-lance environmental educator/entertainer since 1986. He developed his first program, Pierre Bottineau, during the summer of 1983 and continues to portray the voyageur along with several other characters in his work to promote environmental education and awareness. To view a listing of available programs, visit samtingonline.com. If you wish to schedule a Program, please contact our office. 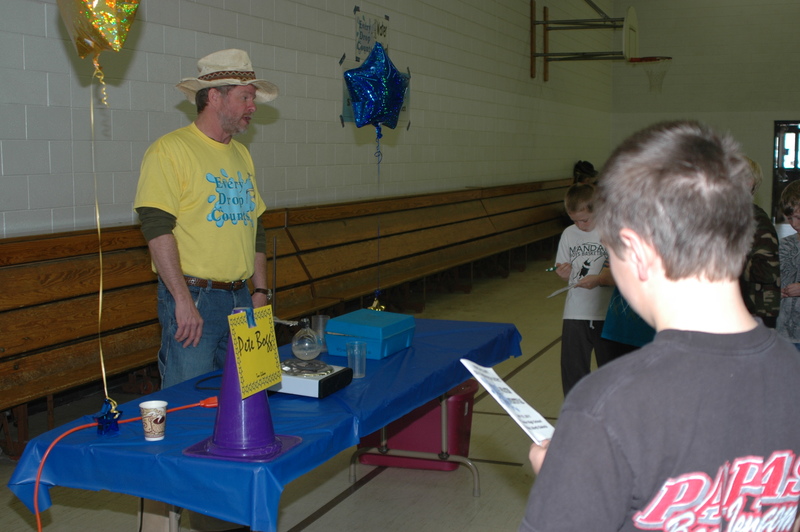 The Morton County Soil Conservation District, along with the State Water Commission, sponsor an annual Water Festival for 5th grade students throughout the county. The festival consists of many different hands-on sessions. Each class can attend four 25-minute sessions during the festival. Presenters are professionals from various government agencies and educational institutions. 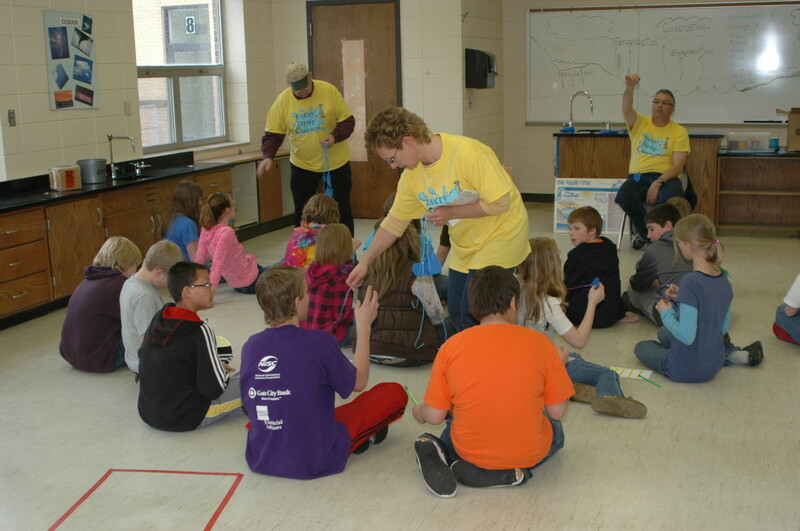 The Morton County SCD also participates in the Living Ag Classroom held during the Agri-International sponsored by KFYR. The District usually partners with the ND Department of Health to present a 6-minute educational session on water quality.